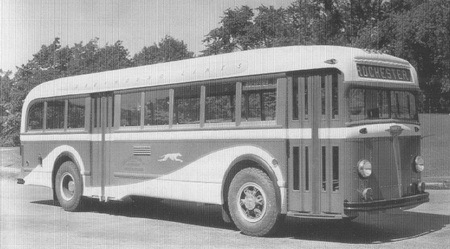 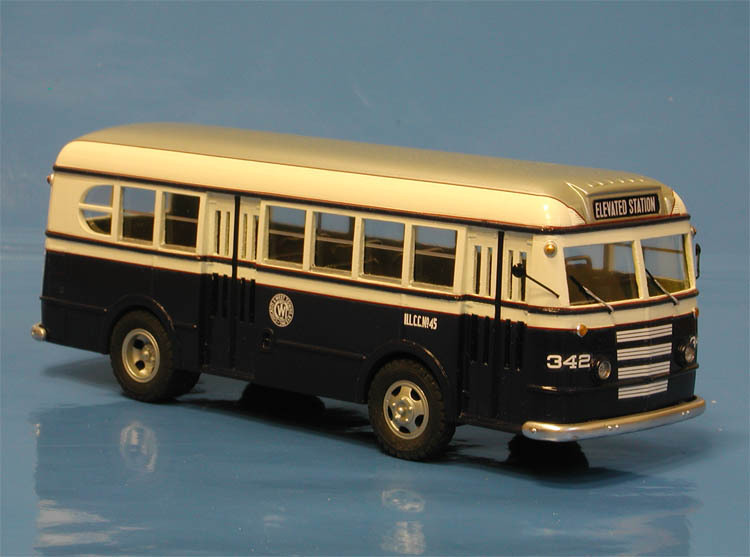 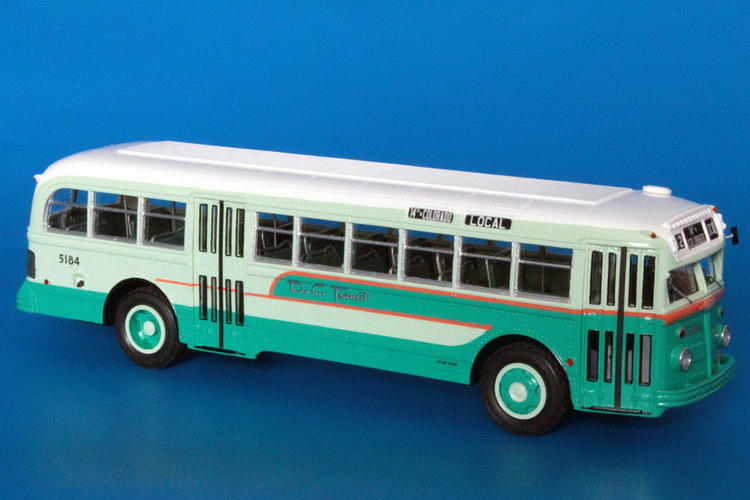 USA - White Motor Co.
Model 798 bus was a great success for the White Motor Co. with 3244 coaches built between 1940 and 1948. 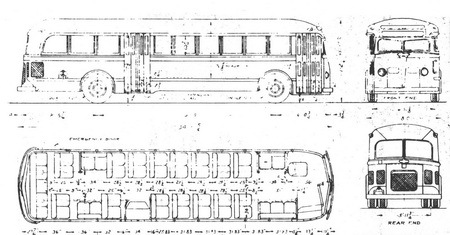 The earliest 798s were all suburban buses, but the city transit version appeared soon and large orders were received from the major transit properties. 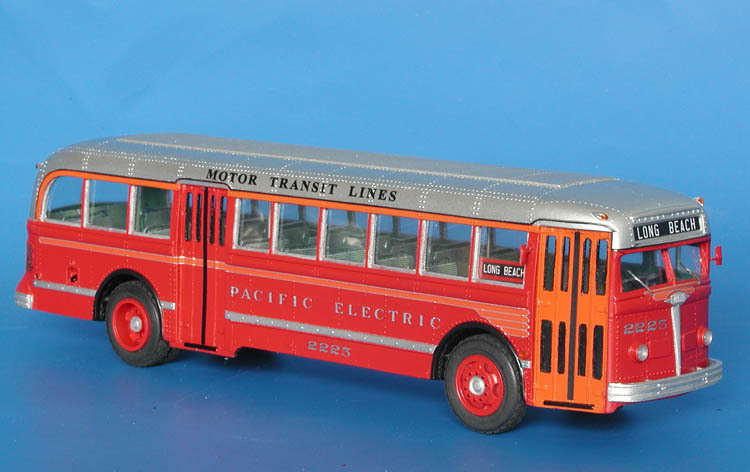 1945/48 White 798 (Pacific Electric 2220-2289; 2380-2394; 3000-3024 series). 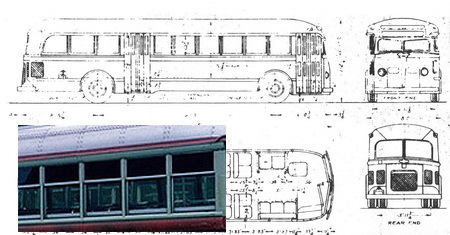 1947/48 White 798 (D.C.Transit System 5100-5199 series) - post'56 livery.